On Christmas Day, last year, I purchased a background stand and a 6×9 ft Green Chroma key Muslin Backdrop. 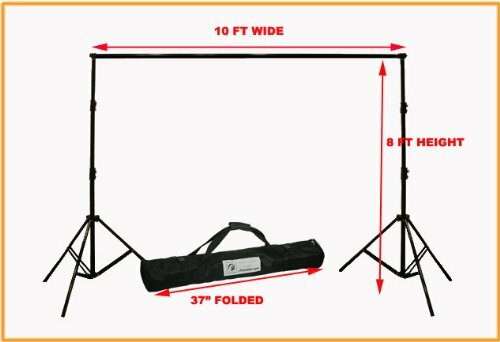 The background stand can accommodate larger backdrops, and I may purchase other backdrops in the future. This is the background stand that I purchased. I plan to use the background stand and backdrop to take photographs of family, in particular my granddaughters, and possibly some friends and then replace the green background with another background. I do not have a lighting kit. At the present time I do not plan to purchase one. I will use an external flash and, possibly, reflectors to light my subject(s). Here are some photographs that I have taken thus far with the green screen. I need to learn how to add shadows to my composite photograph. A shadow would provide grounding for Patches. There is a slight green tinge (from the green backdrop) around my husband’s head, in the composite photograph. With better lighting and by having my subject stand farther away from the backdrop, the green tinge will be minimized. As you can see in this photograph, I did manage to get rid of the green tinge around my husband’s head. A careful selection and use of the hue slider took care of the problem. Yesterday, I took a photograph of myself against the green backdrop. Actually, I took about 10 photographs of myself against that backdrop. It is very difficult to take a photograph of yourself, especially when you place two bowls and a mannequin head on top of the chair so that you can focus on its eye. In 12 seconds I had to remove the two bowls and mannequin head from the chair, sit myself down in the chair and strike a pose. It took at least 10 attempts before I captured a photograph that I could work with. I used digital backdrops from Photobacks for each of these photographs. Photobacks provides an extensive line of digital image enhancement products, including digital templates, digital backgrounds, actions and video tutorials. For those of you who are not familiar with the green screen technique, Wikipedia provides a good definition and description of the technique. You may read the Wikipedia Chroma key article by clicking here. Backgrounds really do make a difference, Linda… That bright green one would be great when doing flowers like ROSES. Beautiful!!!! Great pictures. I love the one of you. Oh, meant to say, I really like the picture you did of yourself…nice. You might consider doing some softening of the background image so it looks more out of focus and makes for a more realistic final picture. I especially love your final portrait – just great!